1 bag of Ayco Farms Bell Peppers. 4 tablespoons olive oil, plus more for drizzling. 8 ounces of lean ground beef. 1 medium zucchini, finely diced. 4 Roma tomatoes, seeded and finely diced. 1 1/2 cups grated pepper Jack cheese. 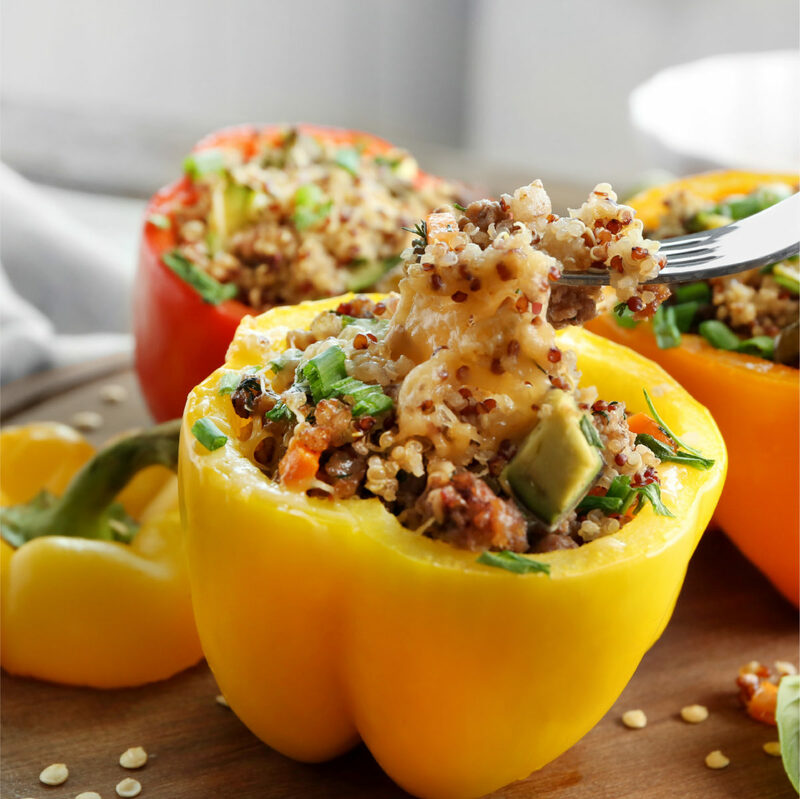 Start by cutting the tops off the bell peppers. Remove and discard the stems, then finely chop the tops and set aside. Take the body of the pepper and scoop out and discard the seeds and as much of the membrane as possible. Place peppers cut-side up in a baking dish just large enough to hold them upright. Set this aside. Heat 2 tablespoons of olive oil in a large skillet over medium-high heat. Add beef, season with salt, ground black pepper and cook until meat is just beginning to brown. This should take 8 to 10 minutes. Place cooked beef on a paper towel-lined plate to get rid of any excess fat. Clean skillet and add the remaining 2 tablespoons olive oil over medium-low heat. Add finely diced onions and peppers and cook until beginning to soften. This should take 3 to 4 minutes. Add garlic, zucchini and cook for another minute. Add tomatoes and season with salt and a pinch of red pepper flakes. Cook until everything is heated through, then stir in the beef. Taste and add more seasoning if needed. Stir in 1 cup of grated pepper Jack cheese. Fill the peppers with the beef mixture and top each with a sprinkle of the remaining 1/2 cup grated Pepper Jack Cheese. Pour a small amount of water into the bottom of the baking dish and drizzle the peppers with a little olive oil. Cover with foil and bake for 30 minutes. 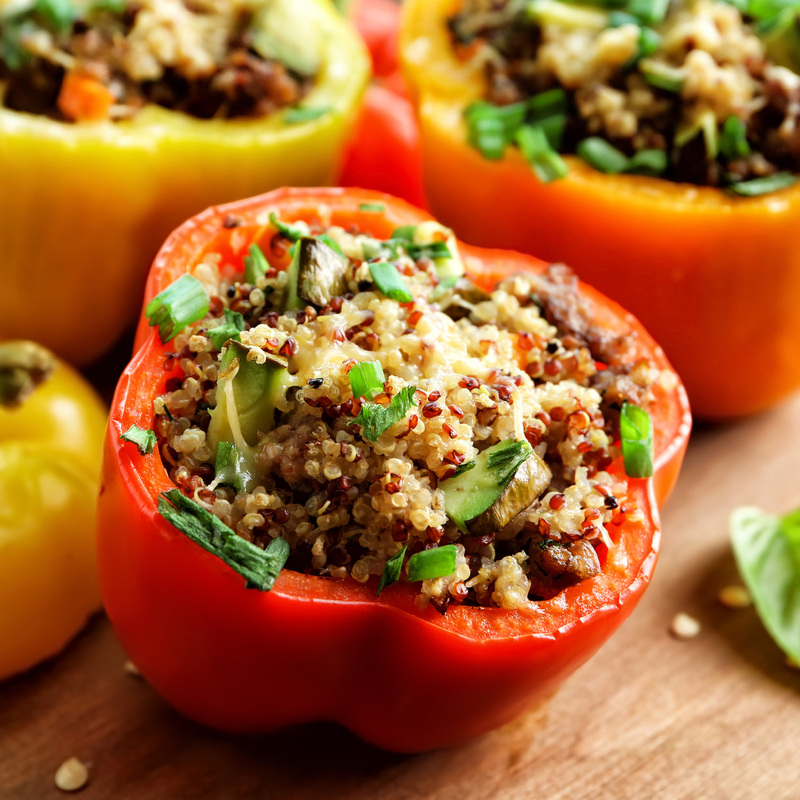 Uncover and bake until the peppers are soft and the cheese is melted and lightly browned. This should take another 15 to 20 minutes. Enjoy! Red and yellow bell peppers are just green peppers that have been allowed to ripen. Red peppers are fully ripened, and they require more time to grow, resulting in their sweeter, fruitier flavor and higher price tag. On the other hand, since green bell peppers can be harvested sooner, they're cheaper to grow and cheaper in price. 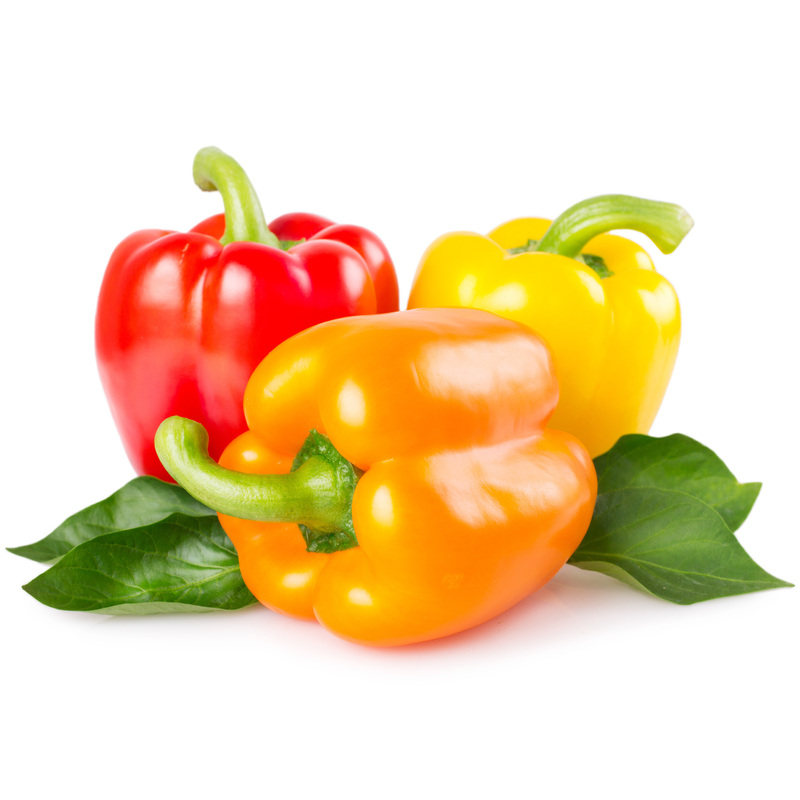 Yellow and orange peppers are simply in the middle of the spectrum when it comes to ripeness (though some varieties remain yellow when fully mature).